When Yuri Gagarin went to space 53 years ago, he inspired everyone around the world. People started dreaming about life in space and on other planets. 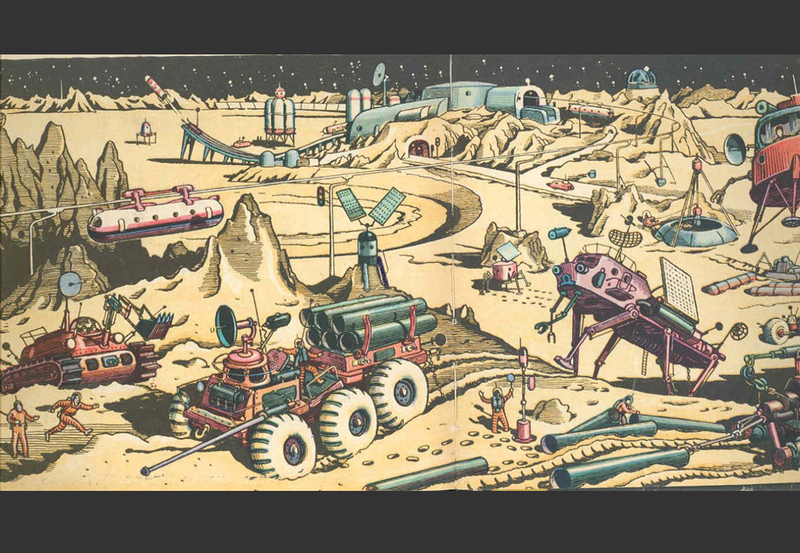 Soviet artists vividly pictured the wildest dreams, mixing real technology with fantasy, from robots to powerful rocket engines and huge space stations.